Herman's Hermits perform at Chicago's International Amphitheater. Barbara Walters and Hugh Downs make the cover of this week's TV Guide for their work on "The Today Show". Walters would stay in our lives for the next 50 years … a great career in broadcasting. Climbing up their way toward The Top 40 we find "Out And About" by Tommy Boyce and Bobby Hart (#56 to #41), "The River Is Wide" by The Forum (#50 to #42), "Glory Of Love" by Otis Redding (#57 to #44), "I Take What I Want" by James and Bobby Purify (#60 to #45), "The Sweetest Thing This Side Of Heaven" by Chris Bartley (#66 to #48), "You're My Everything" by The Temptations (a 40 point leap from #90 to #50! ), "Fakin' It" by Simon and Garfunkel (#84 to #56), "Baby You're A Rich Man" by The Beatles (#80 to #57), "Come Back When You Grow Up" by Bobby Vee (#77 to #59), "Cry Softly Lonely One" by Roy Orbison (#79 to #68), "The Windows Of The World" by Dionne Warwick (#96 to #72) and "Apples Peaches Pumpkin Pie" by Jay and the Techniques (#88 to #74). 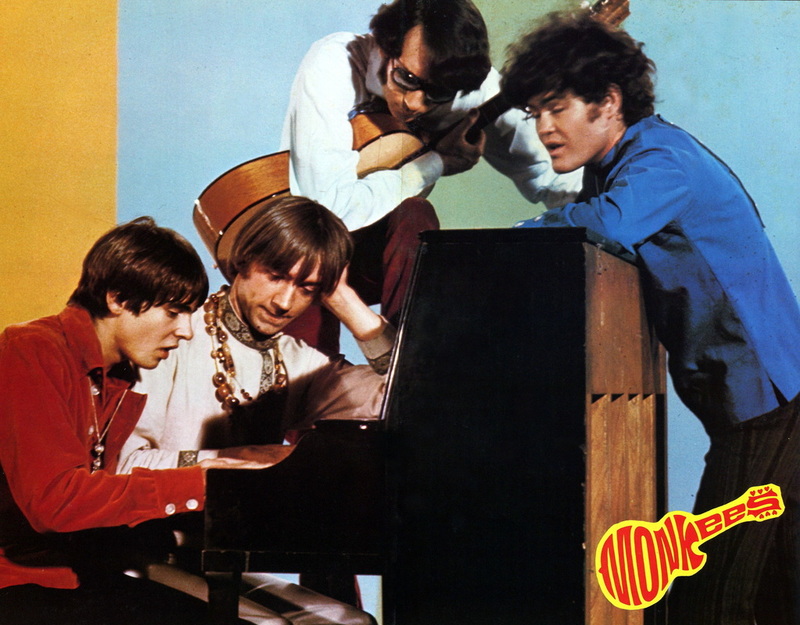 The Monkees perform a sold-out show at The St. Paul Auditorium Arena in Minneapolis. After the show, a 16-year-old female fan stows away on the group's private plane. Her father threatens pressing criminal charges against the group, claiming that they have committed a felony by transporting a minor across state lines. Top debuts this week belong to The Beach Boys ("Heroes and Villains", #54), Frank Sinatra ("The World We Knew", #67) and "San Franciscan Nights" by Eric Burdon and the Animals (#77). Also new on the chart this week are "Ode To Billie Joe" by Bobbie Gentry, "Run Run Run" by Third Rail (a BIG hit here in Chicago), "Groovin'" by Booker T. and the MG's, an instrumental version of The Young Rascals' recent #1 Hit and "Funky Broadway" by Wilson Pickett. We've introduced thousands and thousands of Forgotten Hits Readers to this tune over the past eighteen years, most of whom have gone out to pick up a copy of the record for themselves. Most consider it to be an undiscovered gem that really slipped thru the cracks upon its original release. 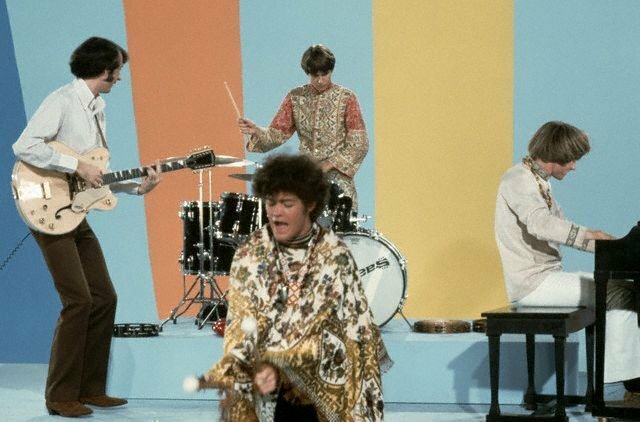 Several have compared it to being every bit as good as what Brian Wilson and The Beach Boys were doing at the time … high praise indeed! This one should have been a HUGE national hit. Brand new to The Top 40 this week are "Words" by The Monkees (up 18 places from #48 to #30 … and the flipside of their now Top Ten Hit "Pleasant Valley Sunday"), "Thank The Lord For The Night Time" by Neil Diamond (#43 to #31) and "I Wanna Testify" by The Parliaments (#41 to #36). Also on the move are "I Like The Way" by Tommy James and the Shondells (#29 to #24), "To Love Somebody" by The Bee Gees (#38 to #32) and "Cold Sweat" by James Brown (#49 to #8), all earning bullets this week. The Association broke the attendance record for The Ravinia Festival held here in Highland Park, Illinois, a northern suburb of Chicago, when they attracted 17,432 fans to their concert held on August 2, 1967. The band's attendance total broke a record, by a margin of 3,000 ticket-holders, that the Kingston Trio had set in 1958. The opening act that night was Chicago's own The Mob. The event was billed as "Mod Night". The race riots continue into August, now hitting Washington, DC. 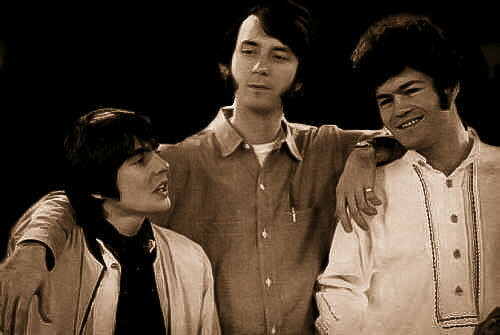 This would prove to be an INCREDIBLE night of music, however, as The Monkees shared the stage that night with The Classics IV, Eddie Floyd and the Bar-Kays, The Bob Seger System, Gary Lewis and the Playboys, The Cryan' Shames, Tommy James and the Shondells, The New Colony Six, The Buckinghams, Andy Kim, The Royal Guardsmen and The Guess Who! This would turn out to be the single largest audience of their entire career, a MAJOR event sponsored by WOKY and known as "M'Woky Fest". Over 29,000 fans were on hand to witness this incredible event … and I swear it breaks my heart daily to not have been one of them! "Light My Fire" by The Doors holds at #1 for a second week while Stevie Wonder moves up a couple of notches into the #2 position with "I Was Made To Love Her". 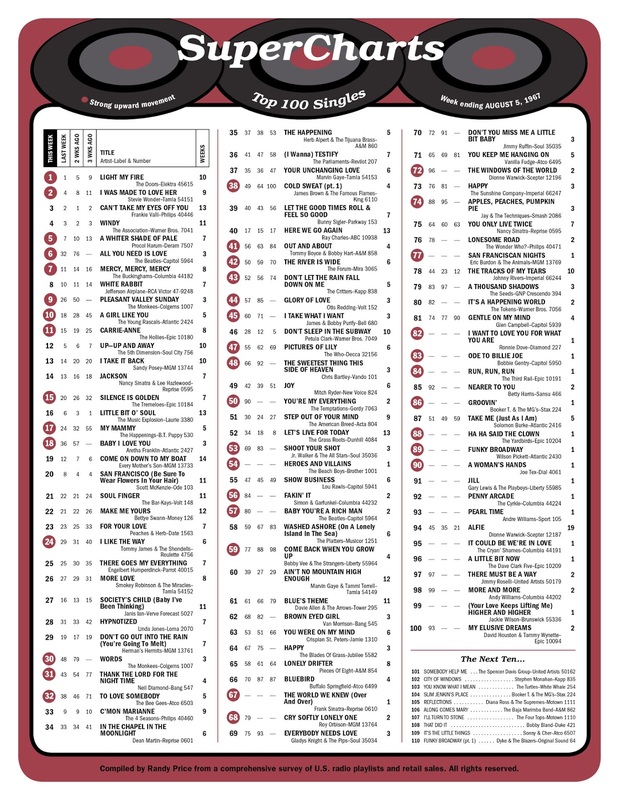 The two biggest movers within The Top Ten this week are "All You Need Is Love" by The Beatles (up 26 places from #32 to #6) and "Pleasant Valley Sunday" by The Monkees (up 15 spots from #26 to #9). 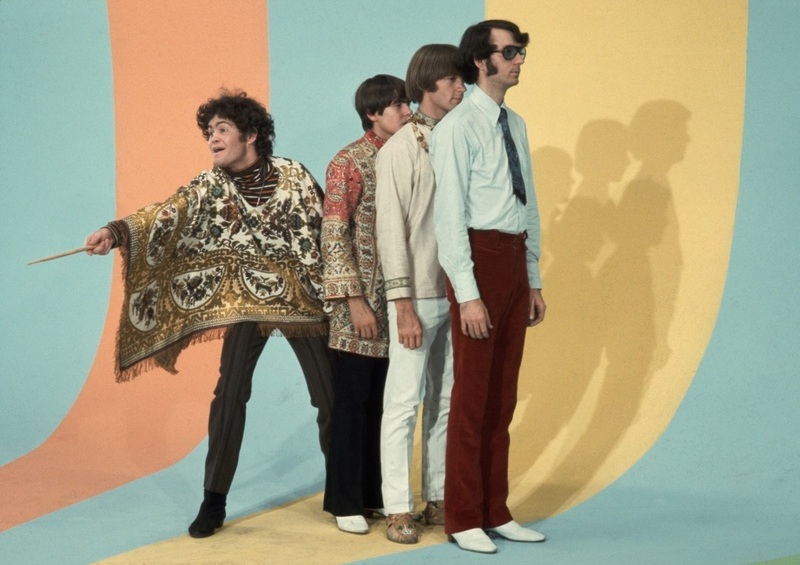 Other Top Ten movers include "A Whiter Shade of Pale" by Procol Harum (#7 to #5), "Mercy Mercy Mercy" by The Buckinghams (#11 to #7), "White Rabbit" by Jefferson Airplane (#10 to #8) and "A Girl Like You" by The Young Rascals (#18 to #10). Just outside The Top Ten, we find "Carrie Anne" by The Hollies up from #15 to #11, "Silence Is Golden" by The Tremeloes up to #15 from #20, "My Mammy" by The Happenings (#24 to #17) and "Baby I Love You" by Aretha Franklin (up 18 places from #36 to #18). That evening the group trek on up to Big Top Historyland (an Indian Reservation) in Old Hayward, Wisconsin, to see The Buffalo Springfield perform. Micky joins the band on stage toward the end of their set. The Rolling Stones appeal their drug possession conviction from June 29th … Keith Richards' conviction is overturned while Mick Jagger's three month jail sentence is reduced to a "conditional discharge". 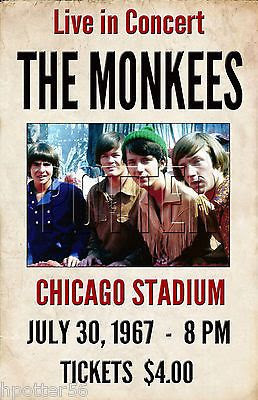 The Monkees perform at The Chicago Stadium to a capacity crowd. The Who perform at The Miami Beach Convention Hall. We've got Race Riots in Milwaukee this time where four are killed. Riots will continue until August 2nd, at which point the city will be shut down for ten days. Fans are still going to see "The Dirty Dozen" in its seventh week of release … it tops the box office again for the fifth time!